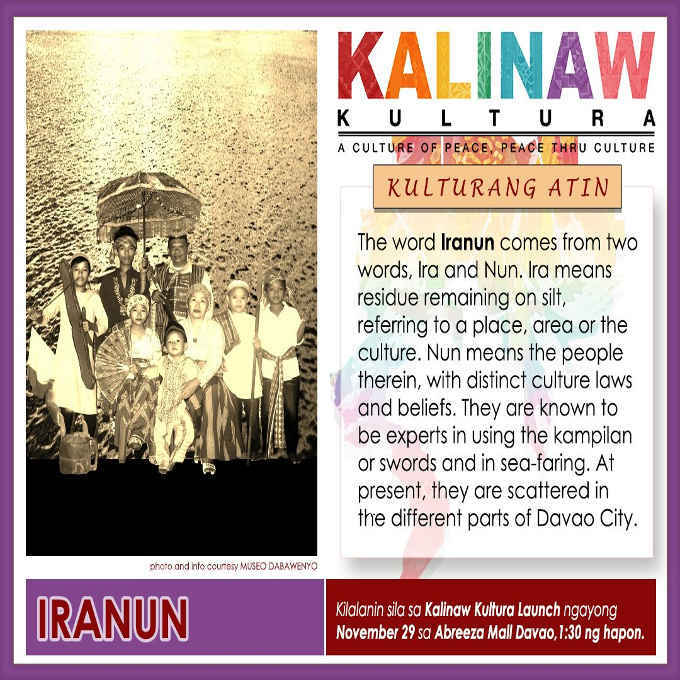 The word Iranun comes from two words, Ira and Nun. Ira means residue remaining on silt, referring to a place, area or the culture. Nun means the people therein, with distinct culture, laws and beliefs. They are known to be experts in using the kampilan or swords and in sea-faring. At present, they are scattered in the different parts of Davao City.